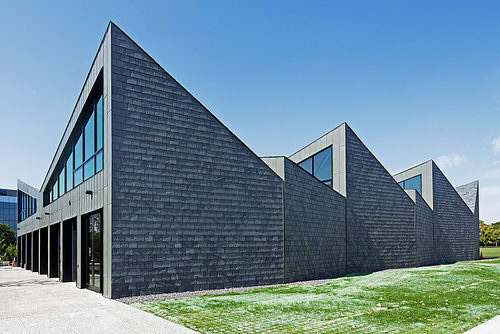 Amid the clamor to take advantage of Chicago Architecture Foundation’s Open House this weekend, some may have missed the opening of Studio Gang’s boathouse along the Chicago River’s north branch. The WMS Boathouses at Clark Park opened Saturday to fanfare led by the Chicago Rowing Foundation, who were eager to celebrate the first of four new boathouses to be built along the Chicago River. The boathouse design translates the alternating “M” and inverted “V” shapes from a time-lapse motion image of rowing into the building’s basic organizing form. 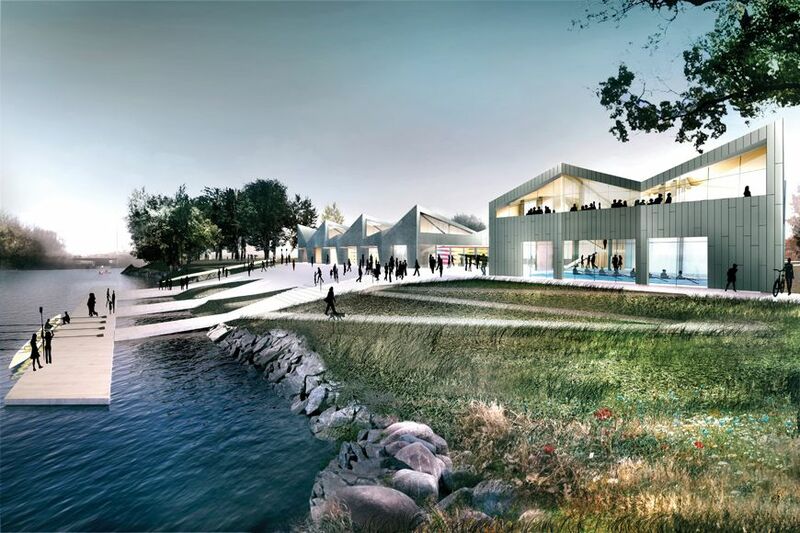 Targeting LEED Silver, it also features a landscaped garden where the site meets the river. 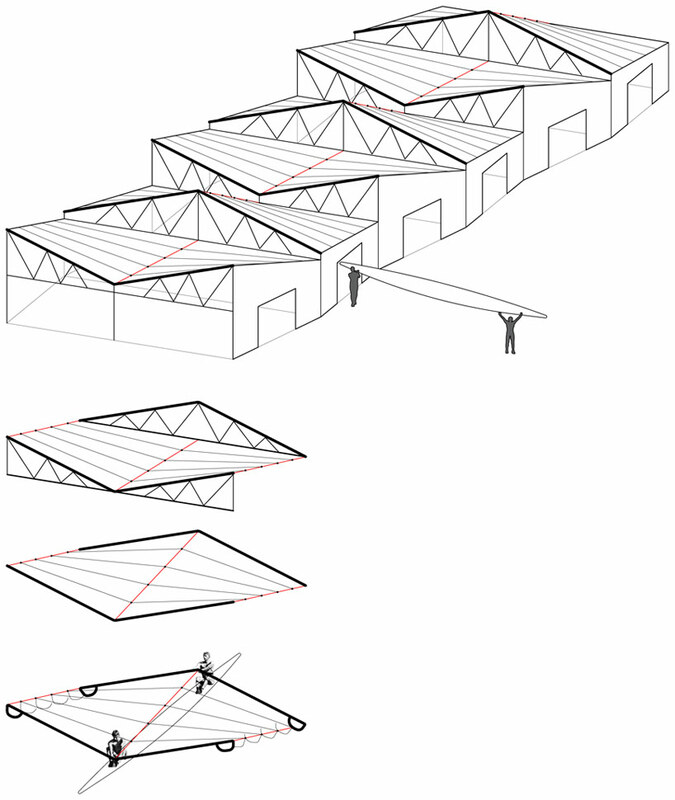 The building’s upper clerestory collects southern daylight in the winter and ventilates in summer. Practice rooms for rowers are flooded with light and river views, instead of being shut away as in many athletic facilities. Similarly the building engages the river itself to a degree rarely seen in Chicago. Contrast the gently sloping approach of Studio Gang’s project to the bunker-like revetment across the river. As the city turns its attention to the downtown riverwalk, it’s encouraging to see neighborhood projects embrace it, too. 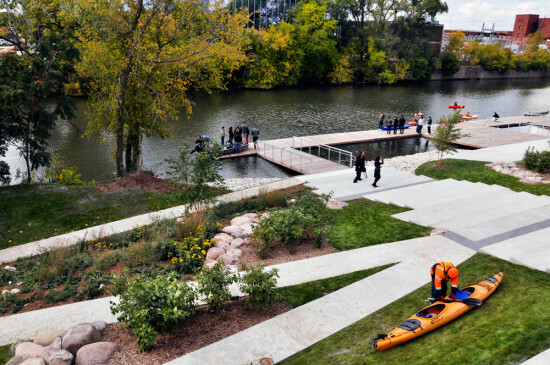 WMS, an electronic gaming company based on the river’s opposite bank, contribued $2 million to help build the boathouse on Chicago Park District land.